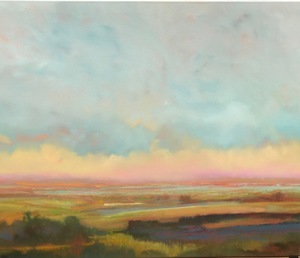 Will McCarthy will be teaching a workshop, “Atmospheric Landscapes” at the Rowayton Arts Center (RAC) during the weekend of April 27 and 28, from 10 am to 4 pm on Saturday and 11 am to 3 pm on Sunday. Back by popular demand, this workshop will inspire your imagination and loosen up your flow. William McCarthy engages the artist by sharing the techniques that enable him to paint from his imagination and achieve an atmospheric style that captures, in essence, the beauty and the emotion of the landscape. The fee for the two-day workshop is $275. To register , please visit rowaytonarts.org/registration or call 203-866-2744 (x 2). The RAC Gallery and Art School overlooks the scenic Five Mile River in Rowayton, CT at 145 Rowayton Avenue.